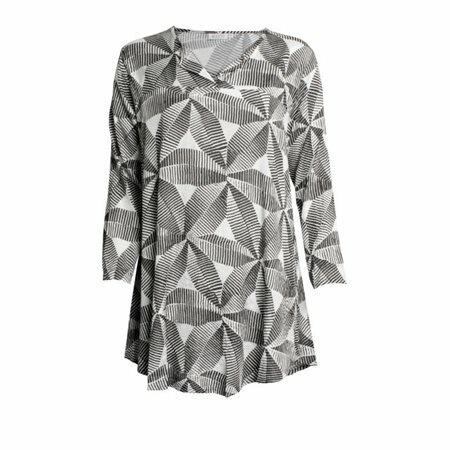 The Gae tunic by Masai Clothing has been crafted from a slightly crinkled viscose and decorated with a lovely graphic print in black and white. The tunic is A-shaped, so it enhances your bust and then falls loosely down over your figure. It also features side slash pockets, a truly lovely tunic for the warmer weather.